Americas Choice Childcare Bissonnet location is located on Bissonnet St and S. Kirkwood. 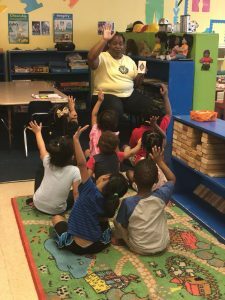 It’s a licensed daycare, child centered, independent daycare that provides infant & toddler, preschool, and school-age summer camp in the Alief subdivision in South West Houston. We are proud of our welcoming community where each child’s social, emotional, physical and intellectual skills are creatively nurtured. Our daycares provide safe, consistent care for working families and for families who want to encourage their children’s development in a setting that honors diversity and respects the idea that early childhood is a beautiful journey, not a race. We encourage you to come by for a visit to our Bissonnet Daycare center. Please call 281.498.3895 to schedule a daycare visit. We look forward to providing your child a safe and happy childcare experience!